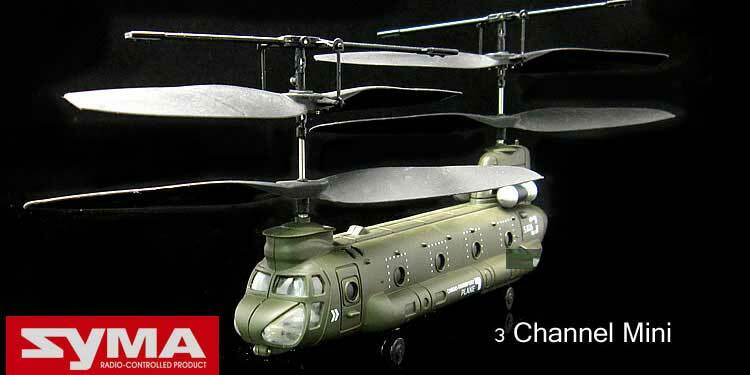 The Syma S026 3 channel Chinook mini palm sized helicopter comes with tandem rotor blades modeled after the CH-47 Chinook military cargo helicopter. This cargo aircraft has co-axial blades for extra stability when flying indoors. Great for those aspiring to be or active in military service. 2010 Brand New! Best choice for Beginner! 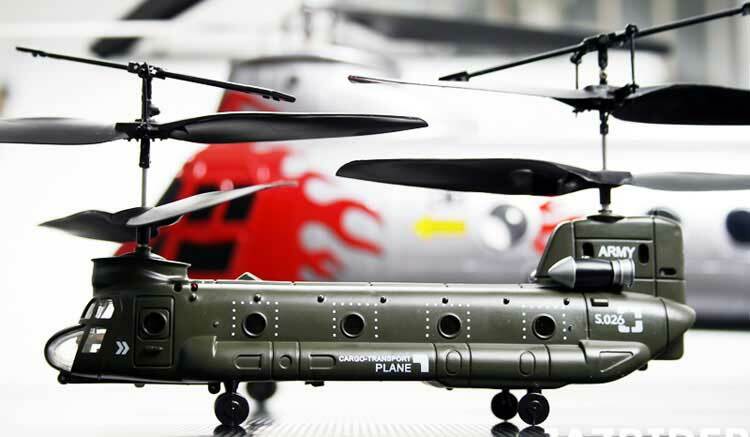 The Syma S026 3ch Mini Cargo Transport RC Helicopter is the worlds smallest and lightest 3 channel helicopter with 2 rotors. This helicopter is designed for indoor flight only. The double rotor design helps stabilize flight and makes it easier to control. This model is the smallest and easiest to control 3 channel on the market. Average Customer Review: 2.5 of 5 Total Reviews: 14 Write a review.